Below is the first 60-second radio spot aired by “Jim Condit Jr. for Congress 2016” during the week of Feb 21, 2016. This 60 second radio spot advertised an hour radio program on WKRC Radio (550 AM) at 2 PM to 3 PM EST on February 28, 2016. That Radio program will be up on YouTube soon. All of these 60 second radio ads and 1-hr programs give the listener one or more websites, including LetFreedomRing2016.com, my congressional campaign website — each of which can open up a whole new world of information to the listener. My congressional campaign is doing what no other campaign in the country is doing, including the Presidential Campaigns. (See OpenLetterToDonaldTrump.com – but as of now mine is the only campaign at any level blowing the whistle on the easily-rigged computerized election systems “counting” the votes in this 2016 Presidential campaign.) We are airing information that no other campaign is airing to the public. We are the only ones to have set up an organizational system at networkamerica.org that could form the framework to take back the nation via the Precinct Strategy, if enough Americans get involved. I’m not good at “blowing my own horn”, or even regularly telling you all what I’m doing. This “reporting what I’m doing” will get much better in the months ahead during this 2016 campaign season. At the end of this post (or ewire), you can see that we have EVERYTHING set up to peacefully take back the nation for the natural law principles in the Constitution, and for Christian civilization – if enough of our fellow Americans join the strategy. 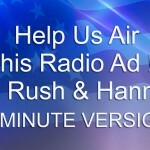 In order to air these Radio Programs AND the 60-second radio spots to reach the general public who are STILL DEPENDING ON THE BIG MEDIA for their information, we need some money. — the two months before the the special election to fill the unexpired term of John Boehner’s seat (8th congressional district, Ohio), which special election takes place on June 7, 2016. That means I can start buying 1-hr radio shows AND 60-second radio ads on about April 7, 2016 — IF I have the money. Your donations = my ability to reach the public. — the general election for the next two year congressional term for the 8th district of Ohio, which takes place on November 8, 2016. That means I can start buying 1-hr radio shows AND 60-second radio ads on about September 8, 2016 — IF I have the money from your generous donations. In order to help liberate our country against the ruthless Cabal running so much of it, in order to help yourself and your family, and in order to help me get this information and organizing techniques to our fellow Americans, go to LetFreedomRing2016.com and on the right hand column at the top (near the thermometer) become a one time donor, or preferably a recurring monthly donor from now until December 2016. You can now play a role of real influence from your home and computer — by joining with thousands of other Americans who are supporting the “Jim Condit Jr. for Congress” campaign, and our Radio Ads campaign. 1.Informing Americans of the existence of the Talmudic Mentality. The Talmud is the main “spiritual” book used at 99% of the Synagogues in America. The Talmud says that non-Jews are not fully human; that it is OK to for Jews kill and cheat non-Jews if one can get away with it; the Talmud also says that Jesus Christ was justly “hung on a tree” and dies five horrible deaths in Hell every day, including one in boiling excrement. And there’s quite a bit more. Books by Israel Shahak (Jewish scientist), Michael A. Hoffman II, Elizabeth Dilling, Rev. Ted Pike, and Fr. Pranaitis are available in the documentation section at LetFreedomRing2016.com. 2. Talmudic Jews run the International banks, including the Federal Reserve Board (FED), Goldman-Sachs, the International Monetary Fund (IMF), etc. 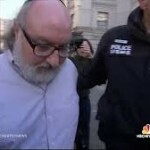 – The Talmudic mentality combined with issuing the money of the world in secret equals a magnet for Talented Sociopaths. 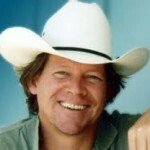 – The YouTube videos “Money Masters”, “The Secret of OZ” by Bill Still are at the documentation Tab at LetFreedomRing2016.com. – Robert Iger, ABC, Disney Website, 2016; Murray Rothstein (Sumner Redstone), CBS, CBS Website 2016; Brian Roberts, NBC, Bloomberg News, Feb 13, 2013; Aviv Nevo, Jeff Zucker Pres, CNN, NYT, July 28, 2008; Rupert Murdoch, FOX, Wikipedia. Joel Stein, “Who Runs Hollywood? C’mon” – See the documentation tab at LetFreedomRing2016.com. 4. The truth about 9-11, 2001 — perpetrated against the United States by Jewish spies in the USA and the worldwide, organized Talmudic Jewish shadow government behind the International Banks. 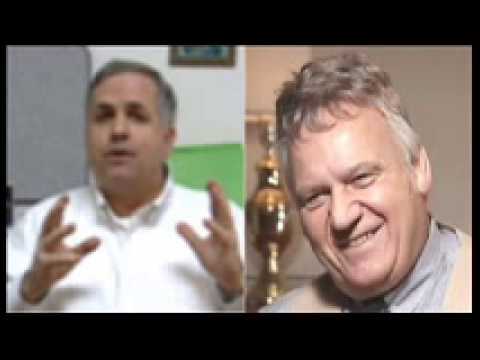 – 9-11 is the predicate for Endless Wars in the mideast (the late Congressman Traficant said we were fighting Israel’s wars of expansion), for the encroaching Police State in the USA. See “9-11 Mysteries” by Sofia Smallstorm; hear my 2 hour talk: “9—11: Pulling Back the News Curtain”; and former Reagan aide Barbara Honigger’s YouTube Video, “Behind the Smoke Curtain”, including the last part which includes the makeup of PNAC (Project of the New American Century). – See the documentation tab at LetFreedomRing2016.com. 5. The reality and pervasiveness of Computerized Votescam brought to 100% of 49 states and half of New Hampshire by the Election Night Gatekeepers. – see OpenLetterToDonaldTrump.com, both the home page and at the menu tab: Election Nite Gatekeepers. 6. 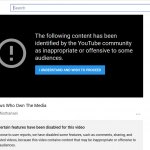 The all out war being waged by the worldwide Talmudic Jewish Shadow Government to make white people of European descent a persecuted minority in Europe and America. A related issue is how the US and Israel created ISIS to precipitate the refugee crisis, both real and contrived. 7. Teach everyday Americans the Precinct Strategy by which we can take over the Republican and Democratic parties in the counties and the states, which would lead to re-making of Congress,electing a constitutional President, and the impeaching of the Supreme Court Justices and federal judges who deserve to be impeach. See NetworkAmerica.org and the article “The Most Powerful Office In the Land”. 8. Money – Teach the nation about the principles of Social Credit, called American National Credit in the United States, by which money can be issued scientifically to bring back free enterprise with an even playing field as envisioned by the Founding Fathers, and as existed in large part for the first two centuries of the United States of America. We live in an Age of Plenty, but the International Banksters have imposed a cash famine on the people of the United States of America, and the world. The principles of American National Credit can fix that by issuing money scientifically to about equal the goods and services available for purchase. By these principles, all nations of the world can rise, in This Age of Plenty. We must quit being deceived by false choices, namely, Vulture Capitalism vs. Socialism/Communism, which both end up in the same place, a few super-rich lording their power and greed over tens of millions of everyday people. Find the book “This Age of Plenty” and the article “The Money Myth Exploded”, and more, found at the documentation tab of LetFreedomRing2016.com. 9. Health Freedom: People must be informed about GMO foods; the role of such companies as Monsanto; the dangerous pesticide Roundup, which leaves Glyphocate in vegetables and plants, which destroys and individual’s immune system by compromising one’s gut bacteria; the dangers of modern day vaccines to the health of newborn babies, including the strong evidence that the mercury and other poisons in the vaccines have caused 1 out of 58 babies in recent years to be autistic, as opposed to 1 out of 10,000 kids being autistic in 1960; and despite all the problems with modern-day food, how juicing and Green drinks can restore the body’s PH balance and help keep an individual on the right side of good health. See documentation tab at LetFreedomRing2016.com. 10. Restoration of the “well regulated Militia” as directed by the Founding Fathers in the 2nd Amendment to the US Constitution. 11. The absolute necessity to defund Planned Parenthood AND pass a Human Life Amendment protecting every innocent life from the moment of conception until natural death. 12. Correcting the historical record on the reality of the Nazi-Zionist connection, whereby international Jewish Banksters basically hired Hitler and the Nazis to first incentivize Jews to go from Europe to Palestine, and then later to round up primarily Jews and put them in concentration camps with a goal of getting as many Jews as possible to Palestine for the Rothschild-Bankster directed takeover of Palestine by “Israel” in 1948, three years after World War II, three years after Hitler disappeared from the world stage; correcting the false number of 6 million Jews allegedly killed by the Nazis during WW II, and correcting the false ascertain that Jews were killed in homicidal gas chambers during WW II, which did not happen. The American soldiers found prisoners dead of starvation and typhus, and other prisoners emaciated, when they liberated the camps. The pictures of these dead and starving prisoners form the basis the false belief of Americans and people around the world that the Nazis killed Jews in homicidal gas chambers; refuting false charges of anti-Semitism hurled by the Big Media at anyone who challenges the crimes of the International Talmudic Jewish Banksters and the organized Jewish Shadow Government worldwide (the same force which fully supported the roundup of everyday Jews in Europe to put them in concentration camps on the way to forcing them down to Palestine after World War II. There are many other issues, but these are the ones that, in my estimation, the American people most need to hear about. If I am fighting your fight, don’t leave me strangling out here alone, with almost no funds to fight this battle. Go to LetFreedomRing2016.com and become a one time donor or a recurring monthly donor from now until 2016. We can only help to set the stage for winning back the country with a little fuel in the tank. 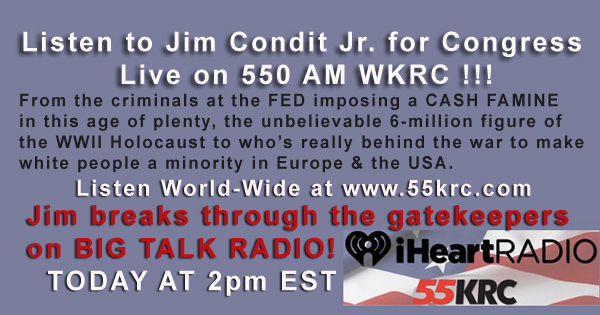 Previous Post:Feb 28, 2016 at 2pm EST Listen to Jim Condit Jr. for Congress Live on 550 AM WKRC !!! You have the same strategy of Donald Drumpf, using ignorance and bigotry to grasp at power. But you didn’t have enough courage to run as a Republican, which you are, and you cannot run as a Libertarian or other party because you are too derisive to work toward building those parties. So you have hijacked the Green Party to use their ballot access to excrete your own vitriol and hatred. You will fail because America stands for hope and you are preaching despair. 1. I don’t know what your talking about regarding ignorance and bigotry. Would you please be specific? Perhaps you are brainwashed and don’t know it. Be specific, please. 2. I have been a registered Republican most of my life, but despise the current Republican Party. Constitution Party would be a better fit, but the machinations of the Republicans and the state legislature have disqualified both the Constitution Party and Libertarian Party from the ballot. 3. Since the criteria for getting over 4% (or 5%) on ballot with a Presidential Candidate or Gubernatorial candidate is what is needed to keep party status, it is possible with the easily rigged election computers (a question, incredibly, no party touches but the Constitution Party) that those publishing the secret computers in New York City will NEVER show above the 4% criteria for the Constitution Party or Libertarian Party. The top of the Green Party (like the Repub and Dem parties) is run by the Ruling Elite tied in with the Ruling Elite behind the international banks, so it costs them nothing to allow the Green Party to get ballot status. 4. Running as a Republican? It’s not a matter of courage, but a matter of pragmatism that does not break any moral laws. As a Republican, I would be knocked out on March 15th, even if I won. (See the screen shots of media websites that show 33,000 votes were stolen from me against Boehner in the 2010 election — 20 minutes AFTER 100% of the votes were counted, and 100% of the precincts had reported. 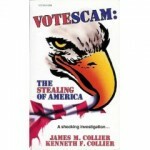 You can see the screen shots at one of the top links at votefraud.org — proof of vote manipulation in the Boehner-Condit race. By winning the Green Party primary this year, then I am on the ballot until November, and, while I’d like to win, can at least communicate to the public ideas and suppressed news and views that I believe are critical to stop the take down of the USA. 4. Hijack the Green Party ballot line? I don’t worship parties. They are tools to advance one’s political agenda. At the very top of the Green Party Platform at http://www.greenparty.org is says this: “This platform is not binding for candidates on any level.” In my opinion, this is mushy thinking gone wild, but it is actually the reality for all political parties, as you can find almost any position in the Republican and Democratic parties. The Libertarian party also has a wide range of positions within it. 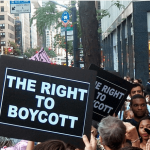 The Constitution Party not as much, but they didn’t like my sticking up for the abused Palestinians, at least the Ohio Constitution didn’t like this. The Green Party is inviting the widest possible range of opinions with that leading line on the national platform at greenparty.org. “Excrete your own vitriol and hatred”, please be specific. 5. As far as the platform and ten principles, there is much I agree with, and much I disagree with. The Social Dividend would approximately correspond to “the Dividend” I advocate as party of Social Credit, which we call American national Credit. This system is explained on our website, LetFreedomRing2016.com, at the “documentation” menu tab – with plenty of sources. It is very specific, and is the antidote to both vulture-capitalism on the one hand,and socialism/communism on the other. I also agree with the criticism of the Federal Reserve Board, but why leave a private company in place? Why not replace it with an honest “National Monetary Office” which operates totally in the light of day? And through such a National Monetary Office, why not issue money scientifically to about equal the goods and services available? This is a system that could bring most, if not all, of the economic goals enunciated in the Green Party Platform, into reality. I am also strongly in favor of the call to prevent companies from patenting seeds or life forms of any kind. 6. At gp.org is included this sentence in the non-violence section: “We recognize the need for self-defense and the defense of others who are in helpless situations.” And yet the platforms of the Green Party, when abortion is addressed, come out 100% for abortion from conception to the ninth month (and probably beyond), if the right question is asked about partial birth abortion. So, apparently, I am the only candidate that is saving the Green Party from it’s blatant contradiction on the abortion issue. There is no form of human life in a more “helpless situation” than an unborn baby. Abortions performed after 18 days stops a beating heart. Abortion performed after three months needs to crush the baby’s head and tear off the baby’s arms and legs. Yet the Green Party apparently excludes these little human beings from their principle of defending from violence those who are in helpless situations. Assuming for the moment I’m the only Green Party candidate in the world who is for defending the unborn child from violence (abortion), then I am the only one to adhere to this principle (sometimes explicit, sometimes implied) in Green Party platforms and published principles. So, why should any other Green Party candidate or party official have the right to say I am “hi-jacking” the Green Party ballot line — any more than any other candidate who does not comply with the entire published platforms and published principles? Again, parties are instruments, not idols to be worshiped. 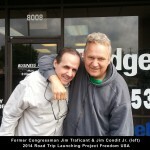 Pingback: Here’s the First Radio Ad – Jim Condit Jr.™ for Congress 2016 – I Know it's Crazy but…..